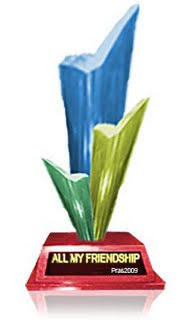 Friendship Blog Award - Thanks Windy!!! 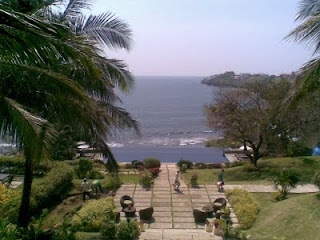 The company I work for treated their best of best teams to an overnight getaway at Punta Fuego. 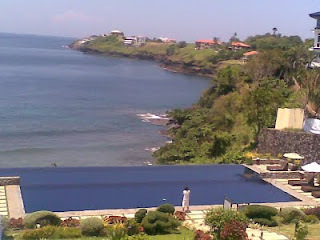 It's a very nice resort situated in Nasugbu, Batangas which is a two-hour drive from Manila. I was fortunate because I was one of those agents at work who became part of it. Everything about that event were free (transportation, food and lodging). Here are some pictures of the place. I'll be posting more photos later. Music Monday's feature this week is Taylor Swift's "You Belong With Me" which made her win the 2009 Female Video Award. She was so happy accepting the award not until the humiliation she got with Kanye West's outburst on the awards night. Anyways, here's the video. Enjoy! It's been a long time since my last post on this blog. I apologize to those who continuously visit and do EC drops in this site. I didn't have enough time to make updates for personal reasons but I surely will make it up to you guys! Thank you for your continued support. I'm back folks! On this post, I would like to thank most of all Windy of Windmill on the Hill who have encouraged me to go on with this blog. In fact he even gave me an award which I am so honored to accept! Thank you so much for the friendship Windy! Red: to symbolize that our blood is red and therefore we are all brothers. I had a different view about friendship before. I make friends with people whom I can get along with. 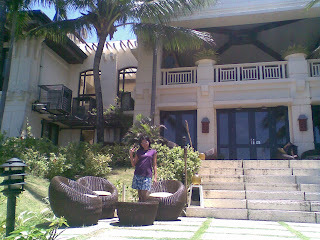 But when I started blogging, it made me open up to a different kind of world - the virtual world, as they say. I learned that I could still make friends in the blogosphere since I get to know their personalities as manifested on their blogs. My blog pals may not be a handful yet but as I continue with my journey in this virtual world, I believe I'll meet more friends along the way! 2. Include a link Giver Award. 4. Copy-paste the image to be replicated at your Blog Post. Look who's there on my guest book!!! It's my long lost step bro, Carlos M. Cruz!!! Kuya Charlie, I didn't know your real name is Carlos! Lol! It's been a while to not have heard from you. I'm really surprised you signed my guestbook! Hahaha! I'm just so glad you did! I've been waiting to get in touch with you, Kuya. Please send me an email at indigo_girl83@yahoo.com. Kuya Charlie is my step brother and we haven't seen each other after our Dad's burial. Wow! I couldn't believe he found my blog! Lol! This definitely means a lot to me, Kuya. I hope to hear from you soon. Take care and God bless!! !